a unique combination of almost sub – tropical landscape and 18th century architecture nestled in the very southwest end of Bulgaria, only few miles from Greece. 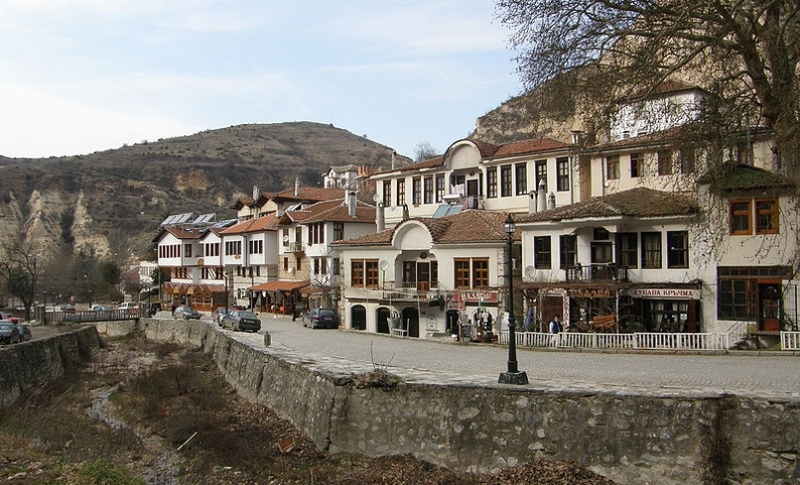 With only 230 inhabitants, Melnik is the smallest town in Bulgaria, located 170km south of the capital Sofia. 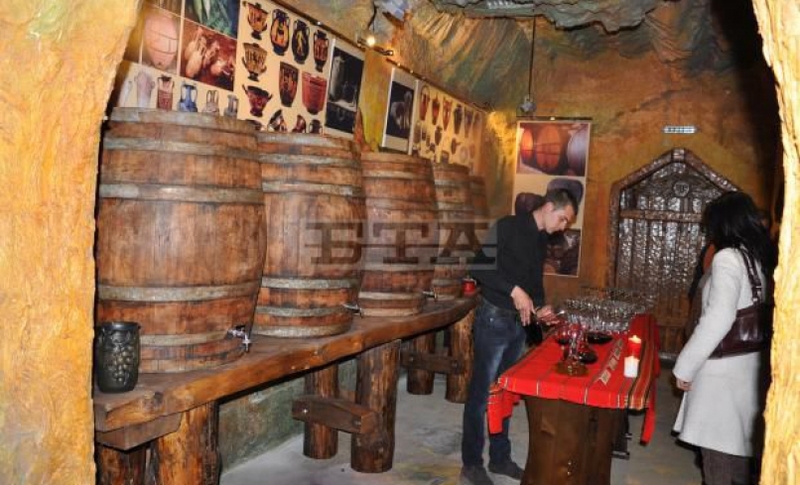 It is well known as the wine capital of Bulgaria and a must do destination for all wine lovers. Melnik and the region is famous for the unique sort of vine “melnishka loza” that can grow only here which gives the local wine a unique taste. The city is hidden in a small valley surrounded by stunning sand towers also known as pyramids. 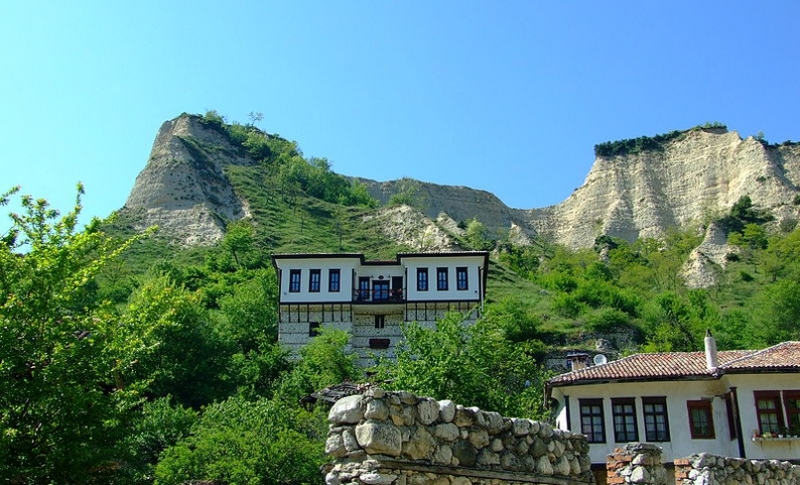 If you have a day or two and if you like nature and want to explore small Bulgarian towns with its preserved traditions and culture, then pay Melnik a visit and you won’t regret it! You’ll be captivated by the unique Revival architecture of the town. 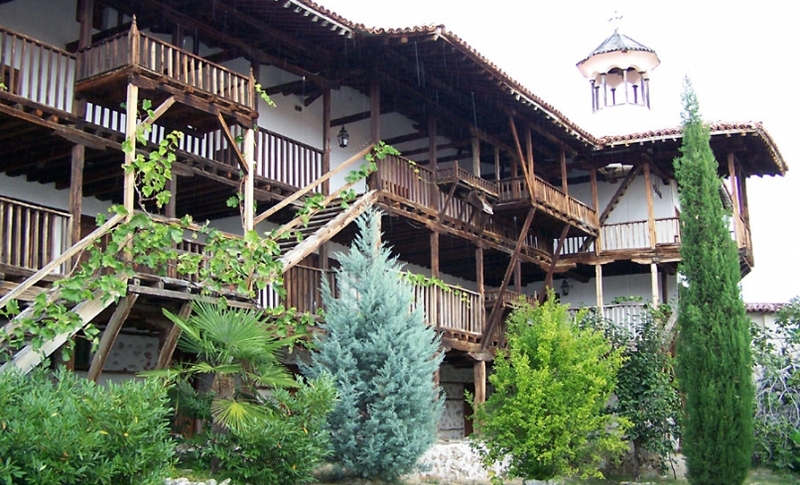 The old Melnik houses are impressive with their architecture in conformity with the laws of nature, with their wealth, with their wine-cellars, with Bulgarian sense of practicality and beauty. 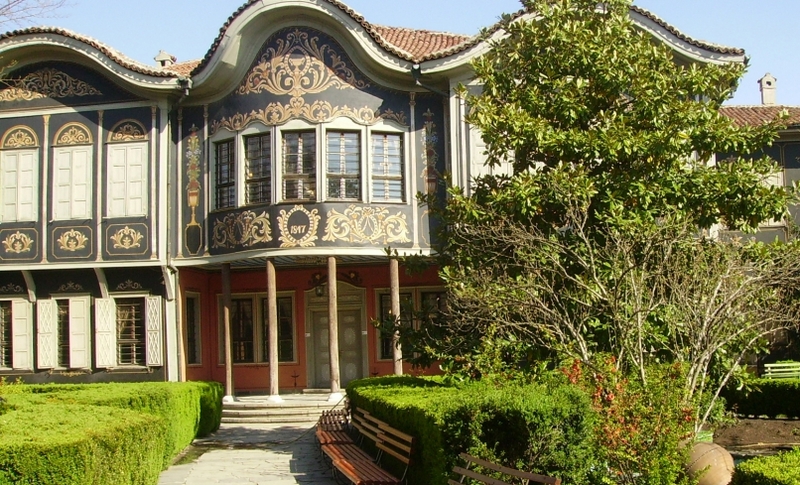 The most popular of them is The: Kordpоulovs’ House – the biggest residential building on the Balkan Peninsula from the Revival Period, housing extraordinary mural paintings and an enormous wine-cellar. 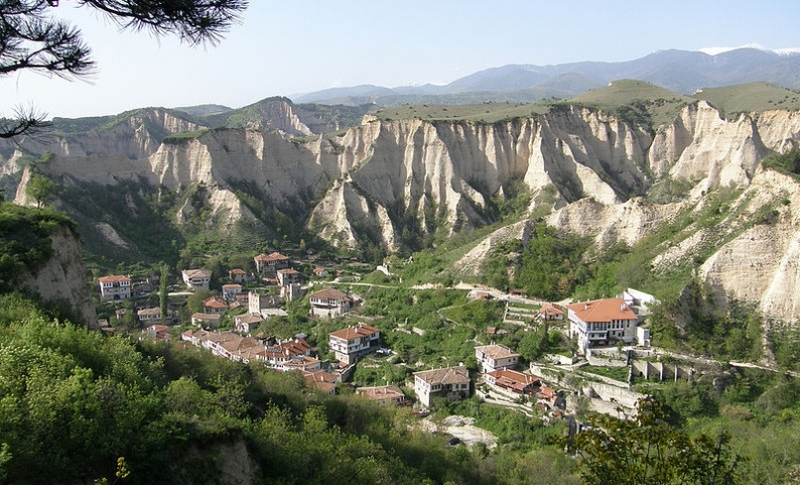 The unforgettable landscape of the town is completed by the unique rock phenomena – The Melnik sandstone pyramids staying as guardians around the town. The pyramids are some of the most fascinating natural phenomena not solely in Bulgaria, but on the Balkans as well. The Melnik and the Rozhen Rivers along with their tributaries deeply cut into the sandstones. Rains and weathering did the rest, sculpting peculiar and bizarre shapes – Gothic temples, towers, columns, mushrooms, fish fins and what not else. A real paradise for human imagination and fantasy! 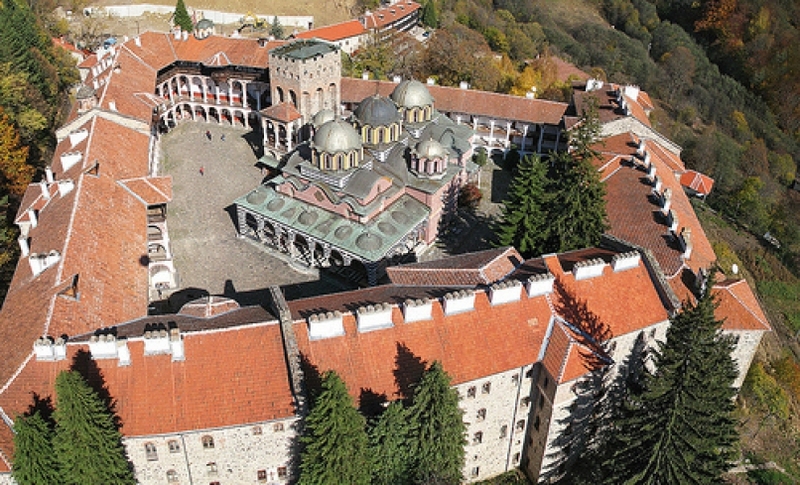 The historical Rozhen Monastery “Birth of the Holy Virgin” is situated 6 km north-east of Melnik. It was founded in 1217 and was repeatedly destroyed by fire and plundered. Today’s church dates back to 1600, renovated in 1732, from which time period are most of its mural paintings. The mural painting of the Rozhen Monastery as well as some iconostasis icons are exceptionally valuable monuments of our pictorial arts. The church of the Monastery endows its visitors with its startlingly picturesque woodcarving of the altar iconostasis. The town is one of the most famous regions producing red wine. It’s not a joke that Winston Churchill valued Melnik wines and insisted to have them in his wine collection. They tend to be exotically perfumed, richly textured and have ample tannins. Melnik is a late-ripening variety that benefits from the long, stable autumn weather of the region, ensuring full ripeness in most vintages.